Solapur NHM Bharti 2019 is started and it is officially published by the National Health Mission Solapur. In this recruitment total, 11 Posts is available and the name of those post is Psychiatric Expert, Psychiatric Nurse, Social Nurse, Neurologist, Physician, Health Supervisor, and Dialysis Technician. The last date for Solapur NHM Recruitment 2019 is 22 February 2019. In this post you will get all important information like Eligibility Criteria, Educational Qualification, Application Form Last Date, Selection Process, Age Limit etc. for the Recruitment of Solapur NHM. So, Read below details carefully before filling the offline application form. The last date for submitting the application is 22nd February 2019. The application received after the last date as well as incomplete and eligible applications will not be considered. Dear Candidates, Are you searching job in Solapur NHM Bharti 2019? If yes then here is great news for you. District Integrated Health & Family Welfare Society, Health Department, Zilha Parishad Solapur, Maharashtra has released a total of 31 jobs for Taluka Accountant, Taluka Community Organizer, Health Nurse, Ayush Medical officer, Medical officer (Male / Female), Dentist, Physiotherapist, Physician / Medical Officer & Cardiologist / Physician posts. 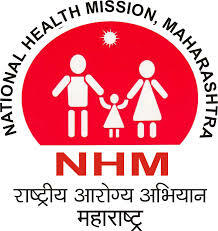 Official Notification PDF is given in this post, read it carefully and if you are eligible for NHM Solapur Recruitment then apply offline by filling the offline application form. Online Registrations are available on NHM Official Website www.solapur.gov.in and it will open till 31st January 2019, after that offline registrations will close. You will get brief information like Educational Qualification, Selection Process, Eligibility Criteria and Important Dates in the below article. So read this article till the end to get all the information regarding this recruitment.